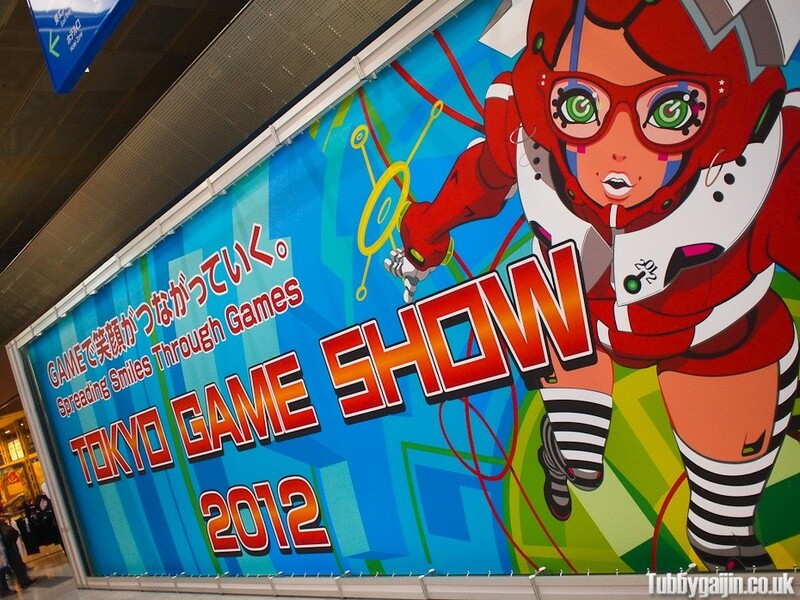 A couple of weeks ago, I flew to Tokyo to attend the 2012 Tokyo Game Show. A lack of internet in my new apartment has delayed me getting this post online, better late than never! 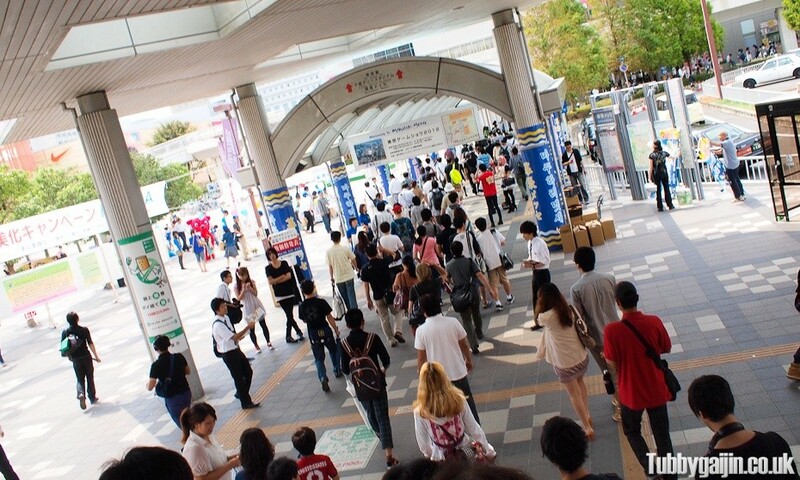 I arrived at Makuhari Messe around 11am on Saturday – I’d been out late in Shibuya with my friend Sam(who I hadn’t seen since University) so a super early start wasn’t on the cards. 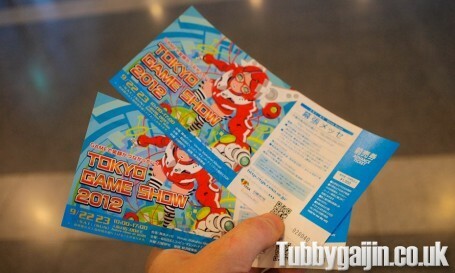 Before getting in line I needed to find the information desk as I won tickets via the TGS2012 twitter account, that took a while. After picking up them up and getting mild giggles at my twitter handle I got in line,　after about 20 minutes, I was in! 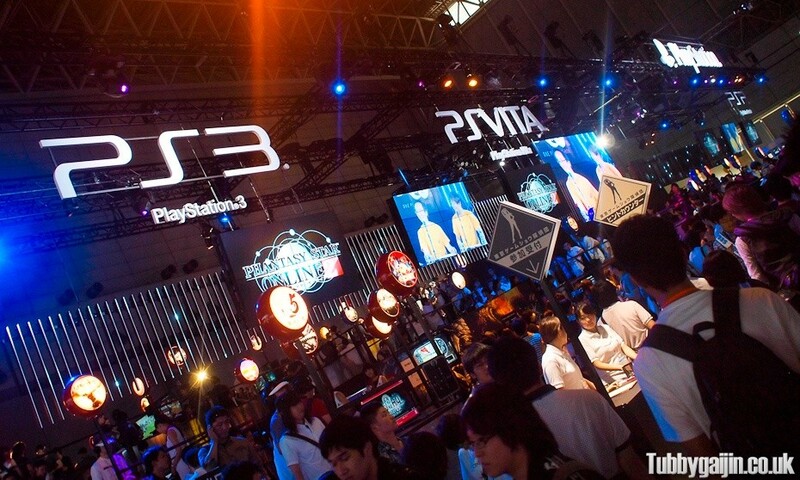 The first sight I was greeted with was the massive main stage, various events happened here throughout the day. 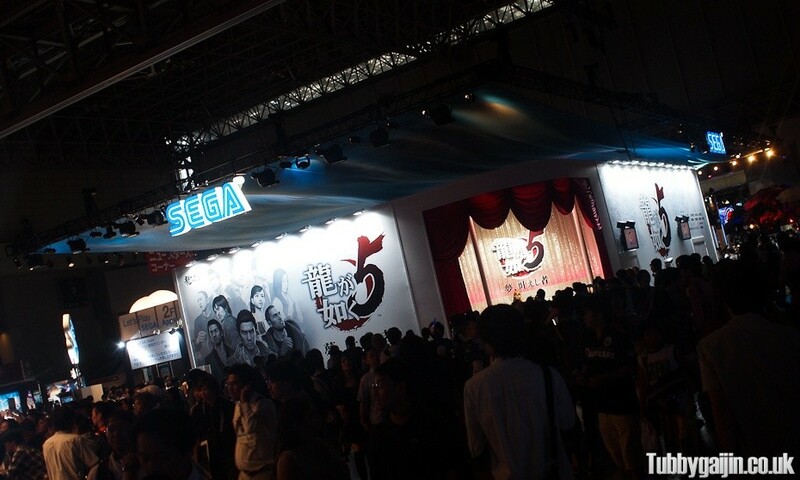 My first stop was the SEGA booth to get in line to play Yakuza 5! 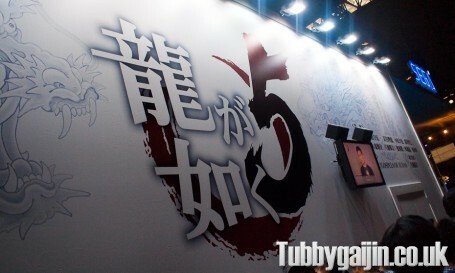 Yakuza 5 dominated the booth, which sported a huge mural of the game characters and logo. The corner of the booth had a mock bar with girls posing for photographs. 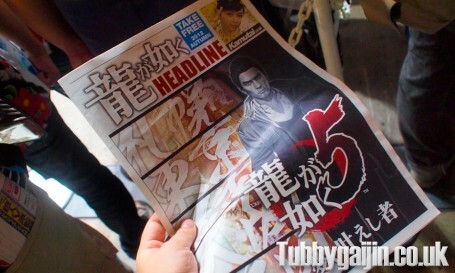 Plenty of free Yakuza 5 items were being handed out including a mock newspaper and hand-fan(later on I also got a big box of tissues). 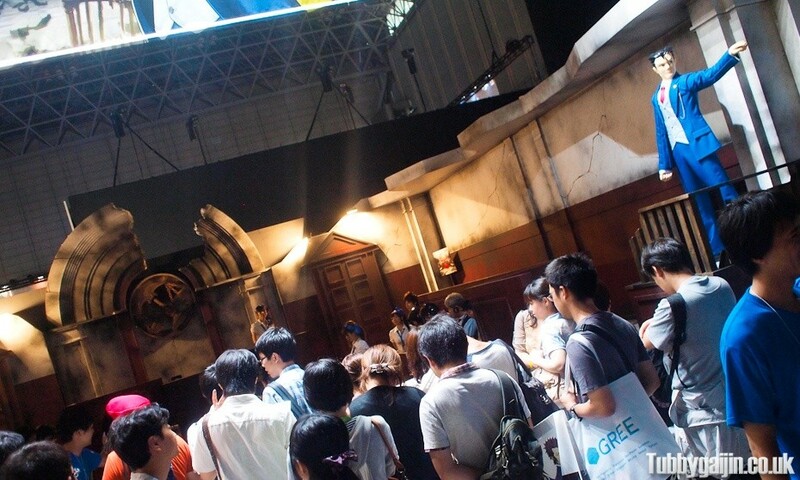 TV’s were mounted on the wall to　keep you entertained while you queue. 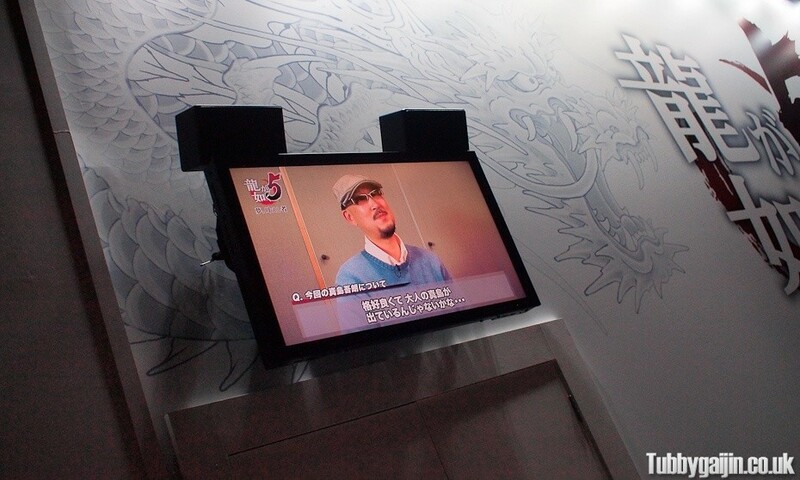 That’s Goro Majima’s voice actor on screen talking about the new game. 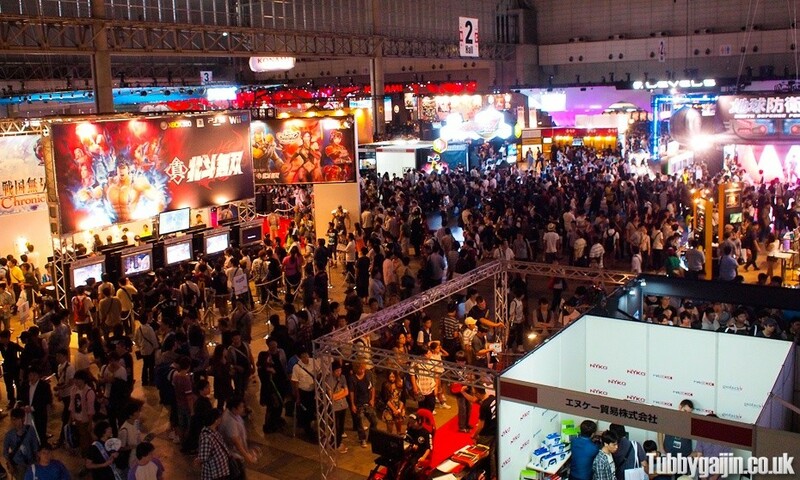 After just over an hour I finally made it into the booth, before playing we were all led into a small theatre where a 15-minute sizzle reel was shown, after which it was on to the demo machines! 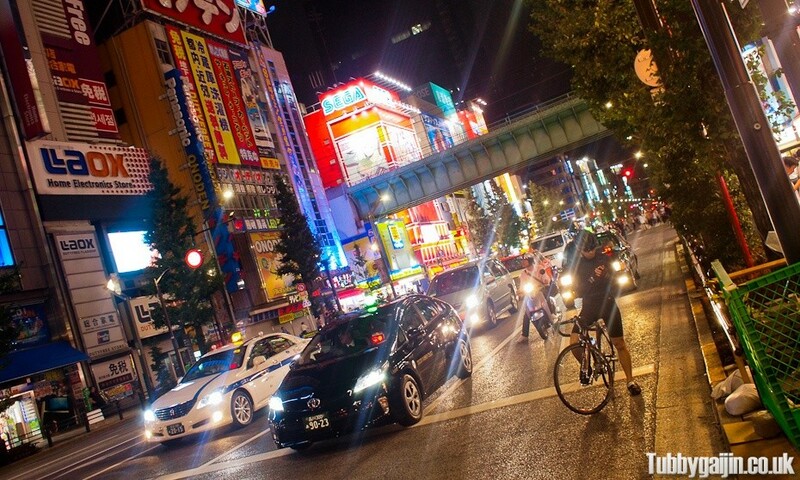 The section I played featured Kazuma, now living in Fukuoka working as a taxi driver. Having visited Fukuoka in August I immediately recognised the area being replicated, the new engine looked really nice too although there was a bit of model popping between the low and high resolution vehicles. The thing I always like best about Yakuza is the world, and it seems deeper than ever, I visited a Club SEGA in-game and was able to play Taiko no Tetsujin! It looked like a full version of Virtua Fighter 2 was in there also! After all that waiting in line my legs were quite seized up, so I decided to have a walk around and see what else was happening. 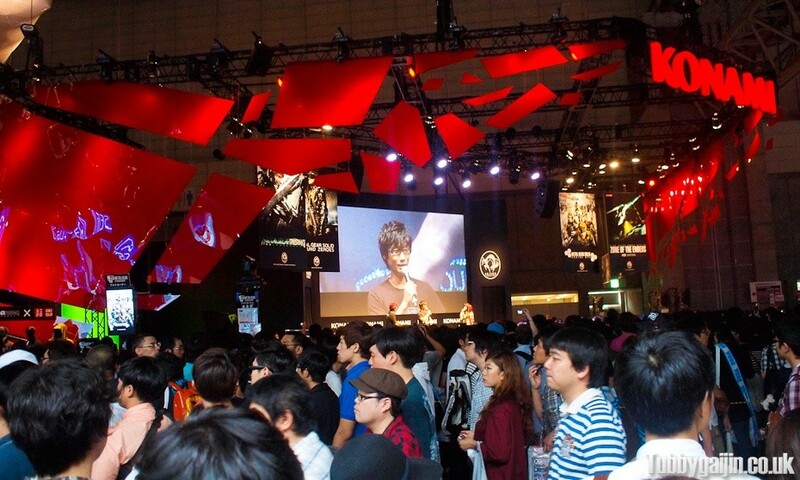 Just opposite the SEGA booth was Konami, and Hideo Kojima was on stage giving a talk about Ground Zeroes and the newly announced Metal Gear Solid movie. 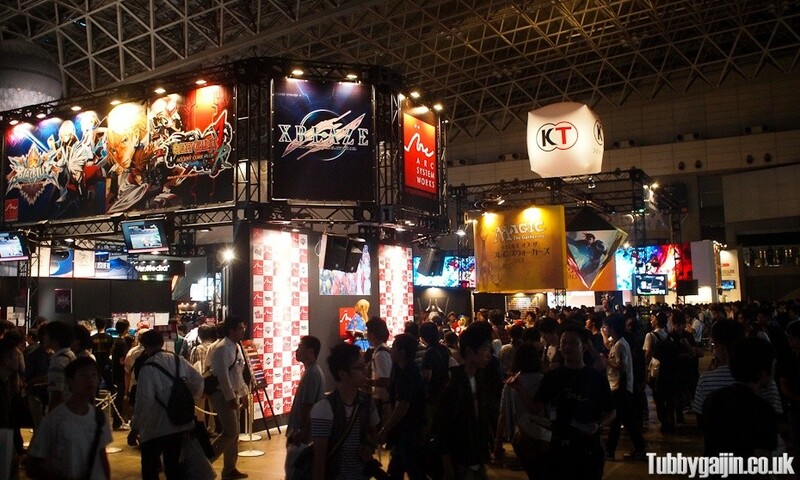 All of the booths at TGS were impressive, but Capcom killed it when it comes to sheer variety, each game had a really elaborate design. 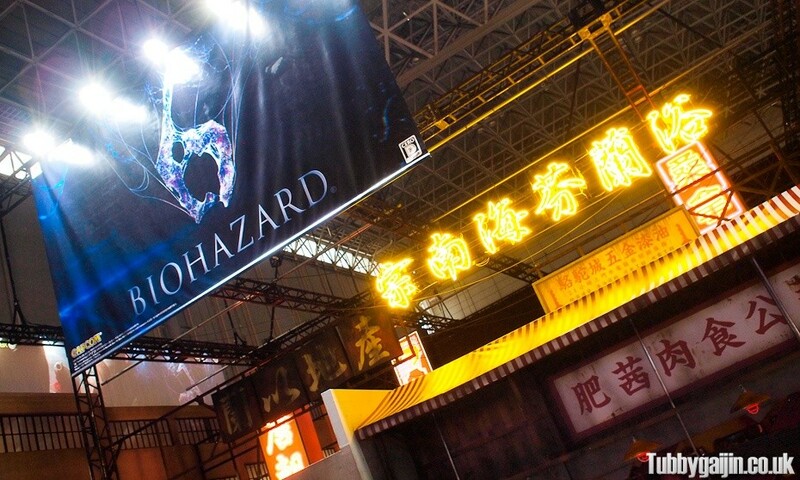 Resident Evil(Biohazard) 6 was made up to look like a Chinese street scene. 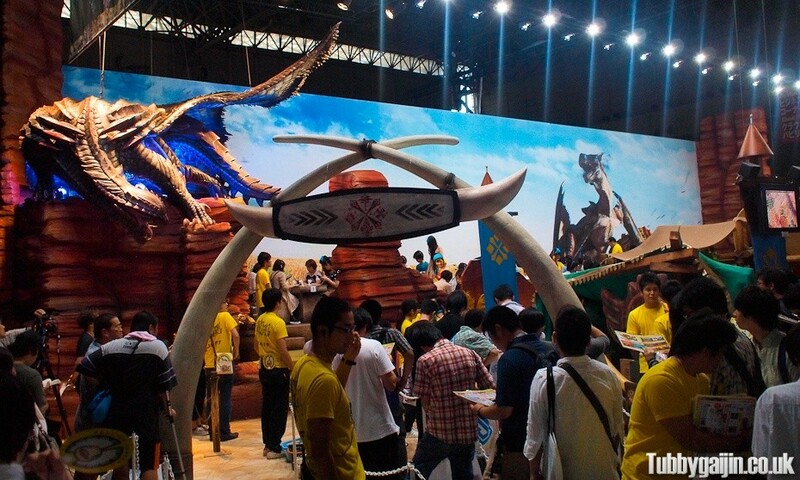 Monster Hunter was all… Monster Huntery… featuring a little encampment, cart and massive dragon. 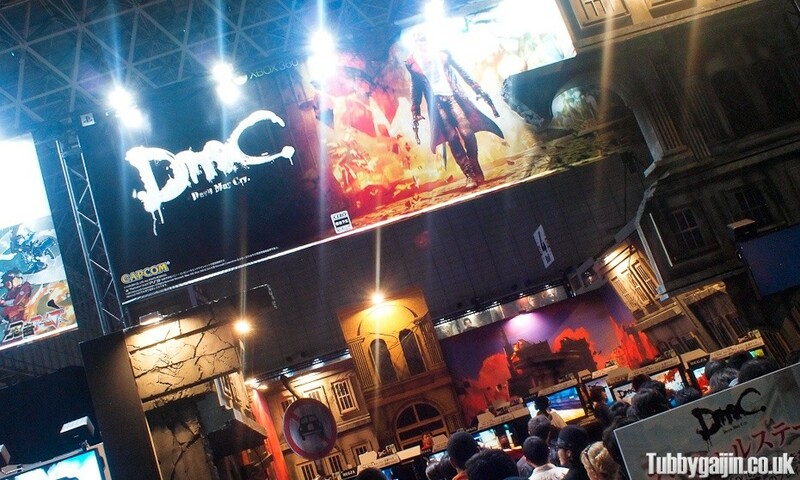 The new Devil May Cry game, set in a ruined gothic-styled city. And Phoenix wright rocking his *OBJECTION* stance in a trashed courtroom. 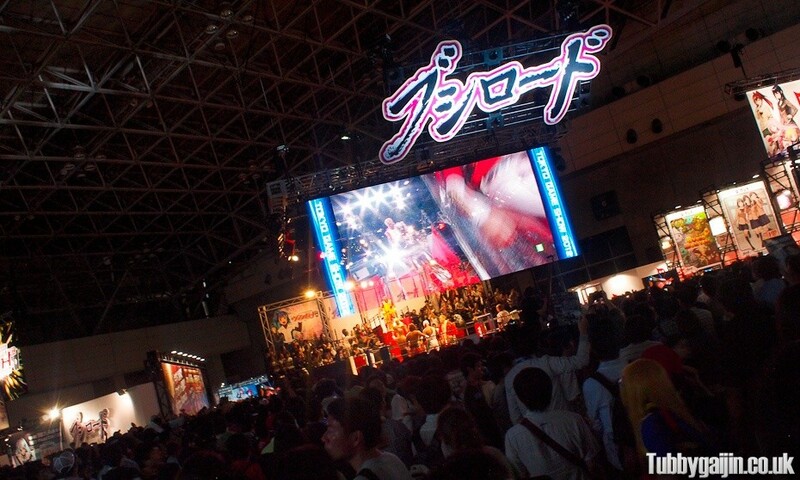 The Bushiroad booth had cheesy mock-wrestling matches going on! 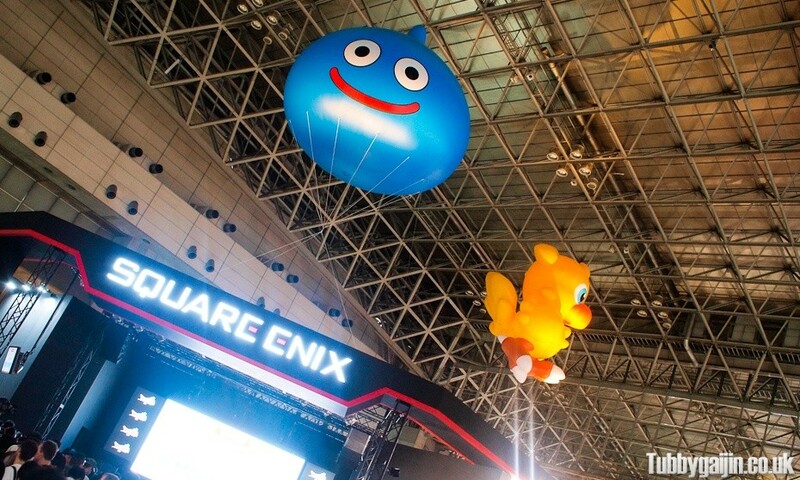 Square Enix booth, no sign of Final Fantasy Versus XIII, the giant Chocobo and Slime balloons were awesome though. 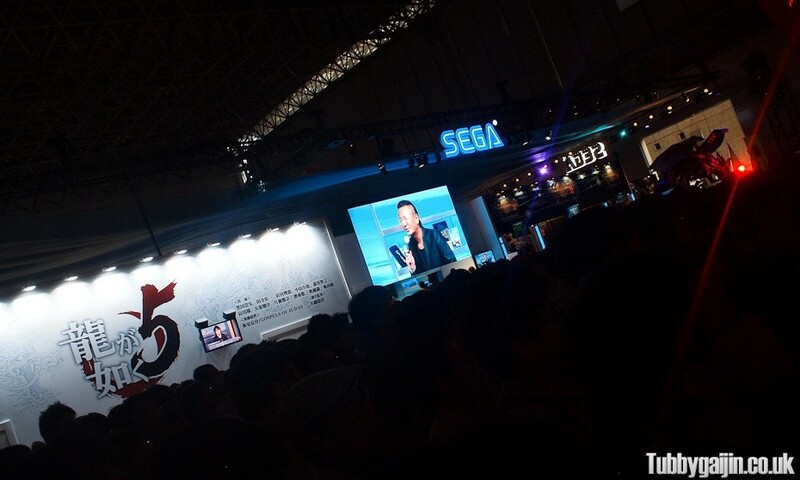 As closing time approached, I headed back to the SEGA booth where Toshihiro Nagoshi(producer of the Yakuza series) was on stage being interviewed. 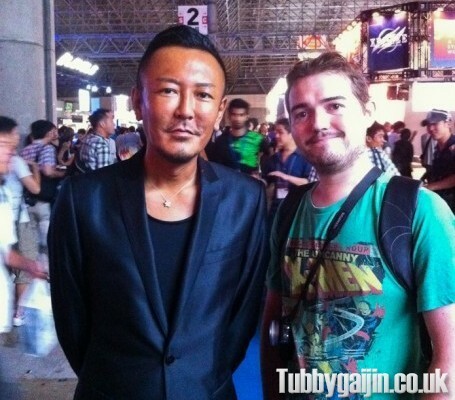 Shortly after his interview finished, I saw him outside the Yakuza 5 area, and was lucky enough to get a photo with him! I can’t stress what a nice guy he was, I complimented his work as best I could in my limited Japanese, to which he responded in English and shook my hand, really made my day! So with that it was the end, and time to shuffle out and brave the crush on the trains back to Tokyo. 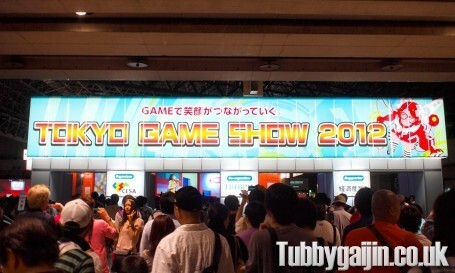 Tokyo Game Show was really good fun, I got to play some great new games and check out the new Nintendo console. 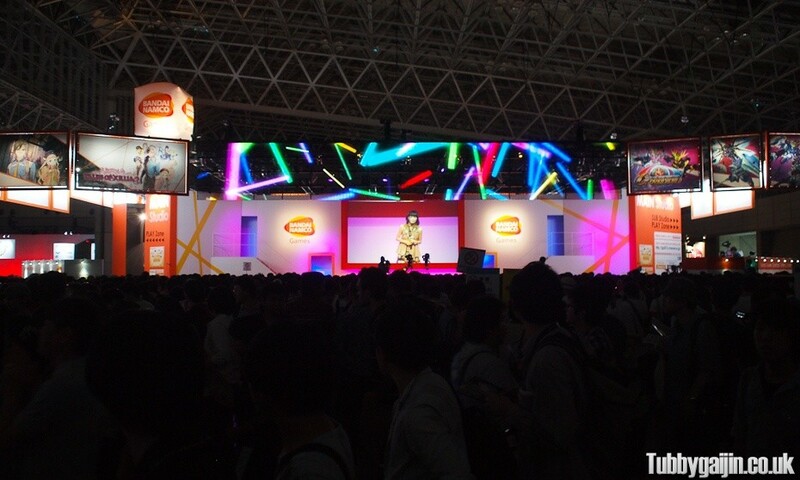 The sheer number of people and crazy queues did limit the enjoyment a bit, but I’d still recommend going if the show is on during your time in Japan.